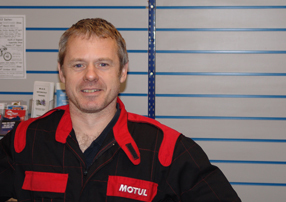 He has worked in bike shops since leaving school and has done some racing in his time. His experience is wide ranging and competitions include. Enduro's, Pit Bike, SuperMoto and even twelve hour Lawn mower racing! Graham has worked for larger dealers in the past, but had always wanted to run his own business, now successfully achieved at FCL.